2013 marks the start of a new era, not only for the whole world if we believe the Mayan prophecies, but also for my little family and many more around the world. 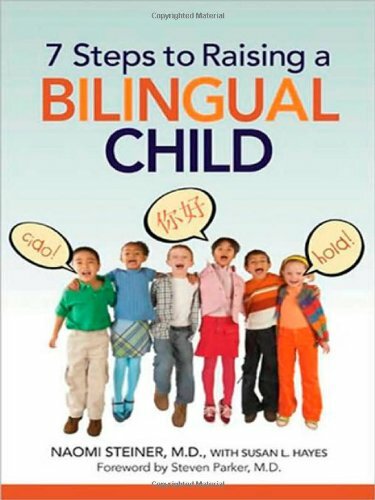 As many of you know if you have been following this blog, we started off planning for our bilingual children as soon as we knew they were coming. I always loved languages and had to learn them the hard way, namely, sitting, translating and studying grammar, so nobody can be surprised if I wanted my children to know languages without the hardship. So, since birth, our two daughters have been spoken to in three languages, Spanish my native language, English Dad’s native language and the local language and French, which I speak fluently but it’s not our native language. Now our oldest is nearly three and has started what in the UK is known as preschool, basically a year or year and a half, depending on the date of birth, that children spend in an “institution”, basically a kindergarten, and play, listen to stories, do activities, and in general are prepared for the big step that is to come, “big school”. We are lucky enough that in our city, Bristol, in the south western region of England, there is a French school. Our daughter has started going to this preschool, where everything is in French, they do French stories, French games, the teachers and teaching assistants are French, and the kids mostly are half French or fully fledged French children. For us this was the natural progression to our three years of building up her bilingualism (trilingualism really). At this point our daughter is an average speaker, she meets most if not all of the milestones of speaking for her age in Spanish and English, although in French she does not. In French she only says some words, while she understands at the same level as English and Spanish. Funny enough I hear many Spanish speaking mums in the UK complaining that their child answers to them in English when they speak to him/her in Spanish, well, when I do “French” day, she answers to me in Spanish, imagine that! So for us, this year’s resolution has been to provide my daughter with a full “French” environment for a couple of days a week where she can concentrate in French without the presence of Spanish and with totally native French accents that will hopefully know as well all those “little words”, as the French say, that mum may not know or might have forgotten. I see this step as natural progression and some help towards the same end, getting our daughter to speak French. It doesn’t mean that you can’t achieve the same without a French school. Most of the French families I know through a playgroup I organize are not sending their kids to this school, and their kids are still going to be bilingual. Some might argue that our case is different as French, really, is our third language and we are not native speakers. Yes, they do have a point, that’s why one should not be shy to ask for help. My help comes in the shape of a French school, if I lived in an area without one, then I would seek help in other ways, playgroups, getting French students to come and speak to the kids in exchange of payment, English classes, Spanish classes or maybe if somebody has a big enough house, in exchange of a room, a place to stay while they finish their studies. Everybody has a skill, so if you don’t have the money to pay for teachers to get that extra help, why not swapping your skill? Anyway, at this point, she’s been in preschool for a couple of weeks and enjoying it. Teacher says she understands everything and even repeats words when asked to. So, we will keep you posted on progress. Hi Michaela, thanks for your comments. 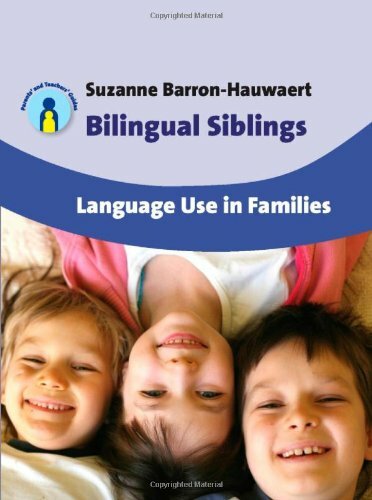 Talking from my experience with my girls as well as other bilingual and multilingual children, I have never seen anything that would support the idea that children get confused. It is important to understand that children are born free of the sociocultural baggage and previous knowledge that we as adult learners assume. When an adult is learning something his brain is using all the skills and knowledge acquired. That is why when one teaches languages to, say, English speakers, one knows beforehand the typical mistakes the students are going to make, depending on the pattern of their native language. Adult students have attitudes to learning and feelings of embarrassment, selfconsciousnesses, etc that may affect the way the produce language or learn a new one. We must not judge children’s learning processes by the same rule, as they are in great measure devoid of many of these cultural and personal baggage that we, adults, carry around. Children just accept things as they come and don’t care about mixing languages. From my direct, practical experience with my oldest daughter, who is almost three now, I can tell you that she doesn’t get confused. She is developing at the same rate as her peers in every aspect, and she understands three languages at the same level. Speaking is slower in French, but she has taken to English and Spanish well. The other day she even said something in English to her Spanish granny and when the granny said “¿qué?” she said the same thing in Spanish. She does seem to realize the difference. Regarding French not being my native language, well, of course, I don’t speak perfect French, and of course, I will pass on mistakes. But firstly, in school teachers aren’t native speakers either and they will pass mistakes as well. The main thing is accepting my shortcomings, trying to improve, and of course, provide her with other input, like going to French nursery, French school, French groups, etc. Remember that one of the main advantages of speaking to them at this age rather than waiting for them to learn the language later on in school is that now they will just absorb it, the vocabulary along with the grammar rules, without having to memorize endless verb tables and sit down doing millions of exercises. I don’t see why you couldn’t include at least one more language, two more may be a bit much, you may not have enough time to spend speaking each language for it to be effective. What works for us is doing whole days in Spanish or French, and English they do everywhere, as we live in England. We love your blog! Giving the gift of a second language is one of the greatest gifts you can give to a child. it’s great to see parents getting involved!! Thank you for added to the future of the world! that is a great achievement. it is really hard task to do. but how could you do that? I am wondering if you are an employee? I would be hard to do so with the lack of time.